Adam Ward, someone you'd like to be stuck in an elevator with! Because I wanted to try a few different sports, it just so happened that my dad had began cycling and got me a lend of a road bike for a local charity ride, I really enjoyed it and the rest is history. When I was younger I played Gaelic (Irish football) and football. A relatively fast one I like to think. I like to see myself as a punchy rider, and I've found success on courses with an uphill/draggy finish. I've tried track, mountain biking and cyclo-cross, but not much going on there for sure. That's a tough one, I'm quite split between my Oakleys and a great set of cycling socks, of the correct length. 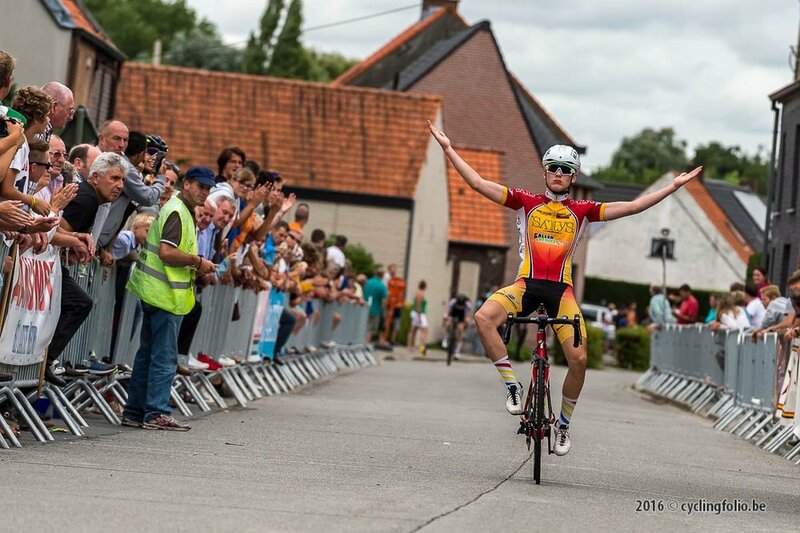 Winning a kermesse race in Zingem, Belgium during the summer would be up there, as well as a few top 5 results in the weeks leading up to it, in Belgium kermesse races. Would be taking the 3rd stage of Errigal International Youth tour during the summer while wearing the polka-dot jersey. My favourite stage race would have to be the Errigal Youth Tour, great buzz about the event during the whole weekend and the teams from all over the UK and world give the event a really good vibe. My favourite one day event would have to be the national championships, no matter where in the country it is you can always get a sense of how important and big a race it is for everyone competing. I've loads of favourite music, so it's hard to narrow it down but I'll say Darude - Sandstorm. My Instagram is my pride and joy. @adamwardhbu for anyone interested. Hopefully just continue riding my bike relatively speedy and get the hands up a few times throughout the year would be nice, as well as getting to race in a few sunny countries would be a good way to spend the summer.